LG officially announced a while ago that its next flagship, the LG V40, will be launched on October 3 at an event in New York. October is billed to be one of the exciting months of the year for smartphone lovers, with numerous OEMs set to release a number of fully-optioned premium phones over the course of the month. 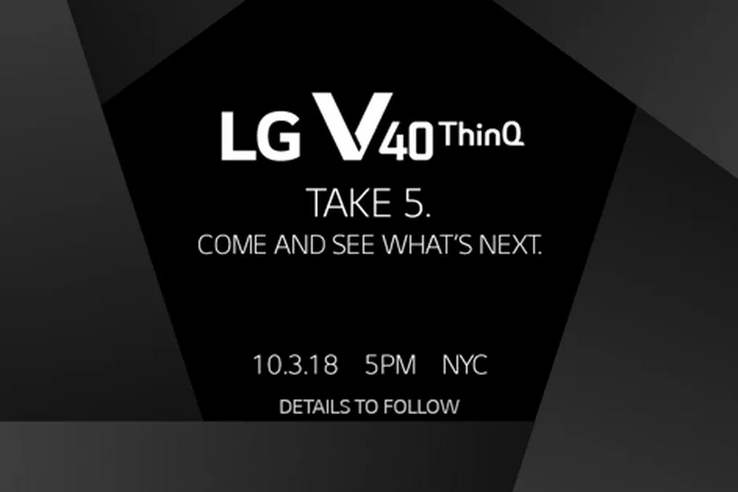 One of those OEMs is LG, and the company has confirmed that its next flagship, the LG V40 ThinQ, will be unveiled on October 3. 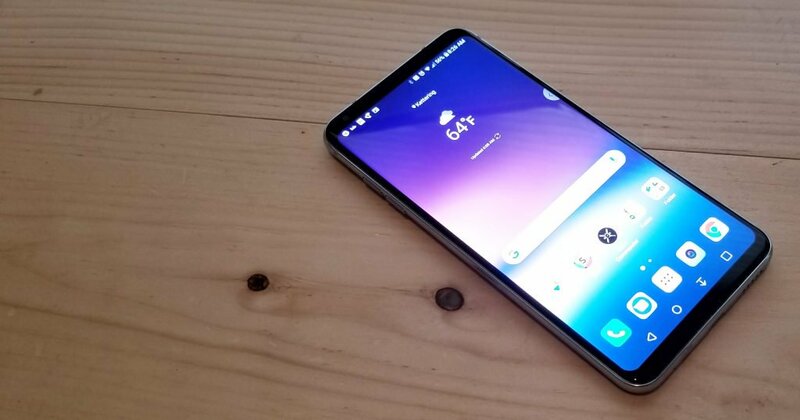 LG’s V line has generally played host to media-centric devices, and the V40 will be no different. The device will feature a big 6.3-inch AMOLED display, a Quad-DAC, and a whopping total of five cameras. These five cameras are split into a dual selfie setup, and a tri-rear lineup. That would make the V40 the first device to sport five cameras, and the third to feature three rear sensors after the Huawei P20 Pro and Samsung's new Galaxy A7 (2018). Not much is known about the tri-camera setup, but word indicates it will comprise of a wide angle lens, a telephoto lens, and a main large sensor. The V40 ThinQ will be powered by a Snapdragon 845 and will feature upwards of 6 GB of RAM and 64 GB of storage.